About 10 months ago, when US President Donald Trump met Prime Minister Narendra Modi in the Sofitel Philippine Plaza Hotel in Manila, Philippines, on the sidelines of the ASEAN and East Asia summit in mid-November last year, he made an unusual request. “Why doesn’t India put troops in Afghanistan?”, Trump is learnt to have asked Modi. Sources said officials from both sides were caught off-guard by the request. “Modi was flustered,” a source told The Sunday Express and then the Indian side had to gently articulate its rationale for assistance for strife-torn Afghanistan’s reconstruction and development in the civilian sector. 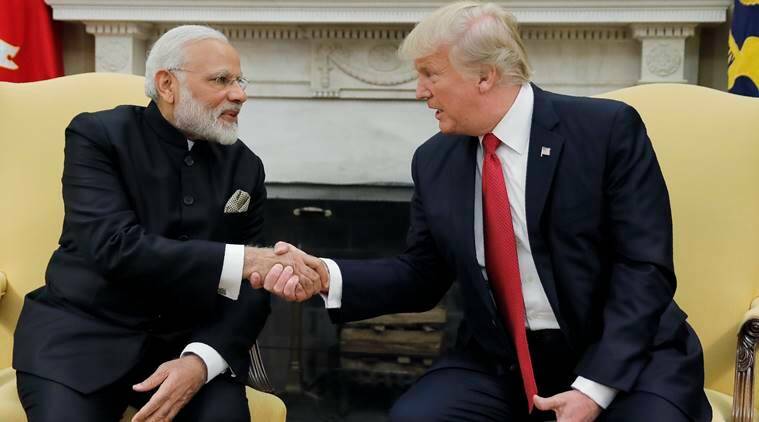 India has spent USD 2 billion in development assistance and another one billion USD has been committed for small development projects, Trump was told, after the US administration had announced its South Asia strategy in August last year.